At Hagar we are committed to the whole journey. The whole journey starts with a survivor, an individual who has experienced severe trauma as a result of slavery, trafficking, or abuse. From the moment that individual enters our care, we work with them to assess what their needs are, and offer a full range of intensive and individualised services. We rebuild trust and resilience. We can provide a safe place to live, counselling, case management services, legal support, education, and safe, empowering jobs. We create opportunities to ensure that the individual is not simply surviving, but thriving. 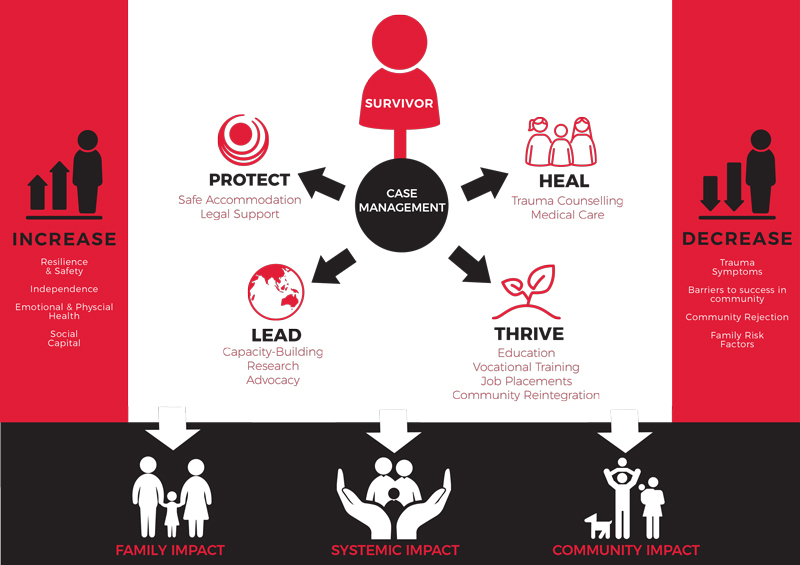 The whole journey encapsulates each step taken by a survivor toward healing. Our goal is for each individual to be a champion for change in their own life and in the community.